Vancouver Canucks tickets will go on sale Saturday, September 24th at 10 AM for the 2011-2012 season. You can purchase tickets online at Ticketmaster or by phone at 1-855-523-6800. Tickets will be available at Ticketmaster Ticket Centres and the Rogers Arena Box Office starting Monday, September 26th. The Vancouver Canucks are also having a pre-sale for tickets on Friday, September 23rd at 2:00 PM till 10:00 PM. To get the Canucks pre-sale code you will have to go like their Facebook Page and it will be revield there. I`m super excited to get tickets to the game on February 18th because that is when the Toronto Maple Leafs come to Vancouver!!! I hope I get tickets!! The Vancouver Canucks pre-season tickets go on sale to the general public on Saturday, September 10th, 2011 at 10:00 AM PDT. If you have the special code then you can take advantage of the pre-sale which is held a day early on Friday, September 9th, 2011 at 2:00 PM PDT. There are four pres-season games that you can purchase tickets to. You can order tickets at Ticketmaster or by phone at 604-889-4625, option 3. Wade Belak was found dead in the Tony 1 King West Hotel and Residence in downtown Toronto, August 31st. The hockey star was just 35 years old. Belak played 15 seasons with the NHL with five teams and retired on March 8th, 2011. Belak was raised in Battleford, Saskatchewan, his hometown is crushed by this sad loss. Wade Belak is the third NHL player to die in just less than four months. Rick Rypien, former Vancouver Canucks was found dead on August 15th. On May 13th Derek Boogaard, 28, was found dead in his Minneapolis apartment from a drug overdose. Wade Belak was in Toronto to film the third season of the Battle of the Blades. It is a reality-show of hockey and figure skating which begins September 18th. It has been a sad few months for hockey fans, as we have lost some great players. My heart goes out to the families who have lost their loved ones. The Toronto Maple Leafs Preseason sale will start this Friday, August 26th, 2011. Don’t miss out! Tickets will go on sale to the general public on Saturday, August 27th. Join the Leafs Last Minute Club. You will be informed of the presale and also throughout the season a limited number of tickets are released 72, 48 and 24 hours prior to select Maple Leafs home games. By following the Leafs on Twitter @mapleleafs. They will be having a pre-sale on Twitter. The presale code will be Tweeted before Tickets go on sale Friday. Join the Toronto Maple Leafs Facebook page. On Friday the presale code will be released on their Facebook page. Toronto Maple Leafs Tickets will be available at Ticketmaster. RCMP have said that Rick Rypien has been found dead in his Coleman, Alberta home on August 15th, 2011. Rypien was only 27 years old and was excited to go to training camp for the Winnipeg Jets. Rick Rypien was battling depression but was said to have been in a good place before his sudden death. Rypien took two personal leaves from the Vancouver Canucks twice in the last three seasons. Rypien wasn’t offered a new contract with the Canucks but was signed as a free agent to a one year, $700,000 deal with the Winnipeg Jets. Reports say that Rypien’s cause of death was suicide, I however can not confirm this. My heart goes out to Rick Rypiens family and all the people affected by this tragic loss. 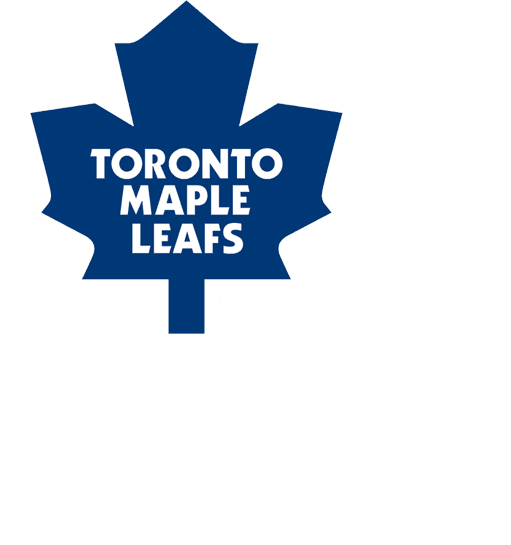 Win Toronto Maple Leafs hockey tickets. Rogers wants to give you and a friend the ultimate Toronto Maple Leafs experience. Unfortunately only Ontario Residents can enter the contest. Single game tickets and day passes for the Vancouver Canucks Young Star Tournament will go on sale Monday, August 15th, 2011 at 10:00 AM PDT. Single game tickets cost $15.00 and day passes are $25.00. The Vancouver Canucks Young Stars Tournament is from September 11th till the 15th at the South Okanagan Events Centre in Penticton, B.C. The tournament will include either games and feature players from the Vancouver Canucks, Calgary Flames, Edmonton Oilers, Winnipeg Jets and the San Jose Sharks. 15 NHL first and second round draft picks are scheduled to play for their respective teams. Tickets are available at Valley First Tix or by phone at 1-877-763-2849 or in person at the South Okanagan Events Centre box office. There are a limited number of 8 game package tickets available until August 15th for $100.00.